Our apartment was very well laid out, clean, modern and had everything we needed! The owners are lovely and were a pleasure to deal with! Nice appartments, good view, close to center and beach. The hosts were very friendly and helpful. We got welcome and goodbye drinks from them which was super nice. The place is around 10 min walk from the Primosten center. The neighborhood was quite and peaceful. The hosts could not been more welcoming and helpful. The apartment was extremely comfortable and clean and located within walking distance to all the amenities, yet very quiet. Our apartment was on the ground floor had a small terrace with a lovely view of the sea. It was so nice to be able to sit outside and enjoy the sea view in a peaceful surroundings, and only minutes away from the hustle and bustle of the fabulous town centre. Nearby beaches were clean,with lots of space and easy to get to . Spacious apartment, everything was extremely clean. We had a wonderful view as well, the parking lot was also large enough. Clean, quiet and cozy apartment. Hosts are extremely nice and always willing and ready to make your stay even more perfect. City center and the beach are very close. We would love to stay here again! Guesthouse is located up on the hill about 1km from the old town of Primošten. We had a nice sea view from our balcony and generally the flat was cozy. 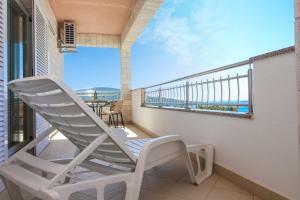 Lock in a great price for M&Z Apartmani – rated 9.4 by recent guests! M&Z Apartmani This rating is a reflection of how the property compares to the industry standard when it comes to price, facilities and services available. It's based on a self-evaluation by the property. Use this rating to help choose your stay! 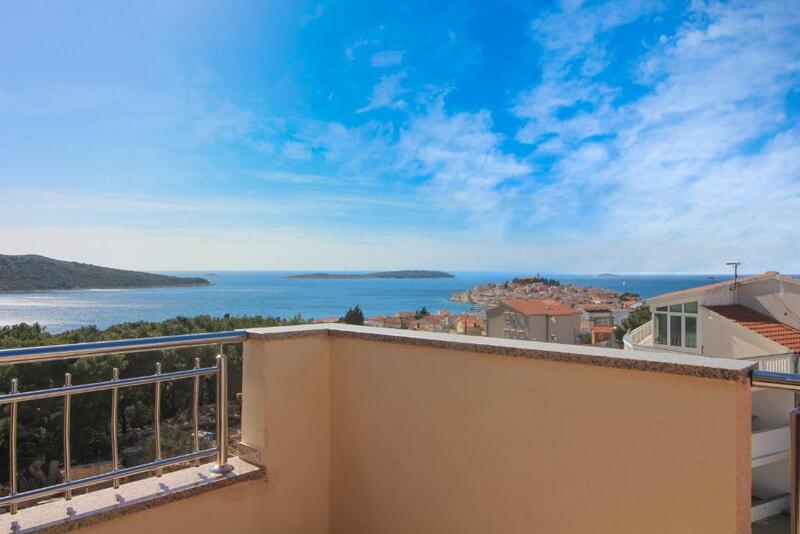 One of our top picks in Primošten.Offering a garden, M&Z Apartmani is located in Primošten, 26 mi from Split. Trogir is 17 mi from the property. Free private parking is available on site. All units include a dining area and a seating area with a flat-screen TV. All units are air-conditioned and feature a terrace or a balcony. 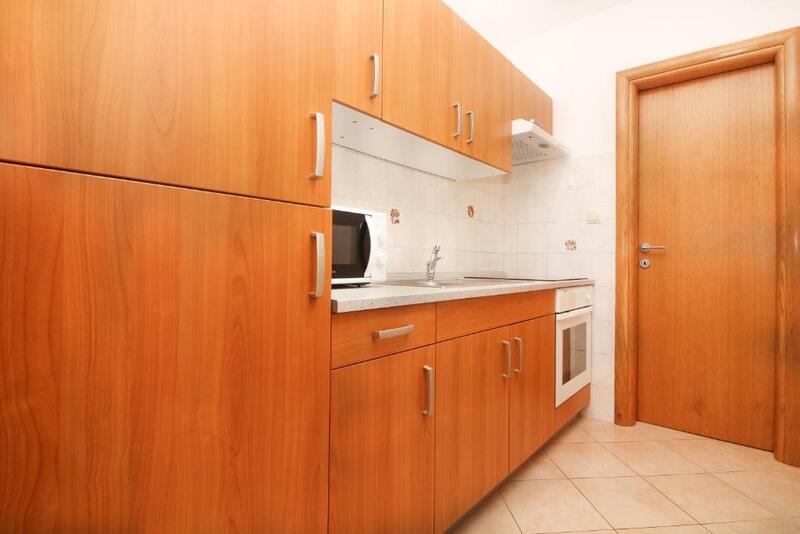 There is also a kitchen, fitted with a microwave, fridge and stovetop. M&Z Apartmani features free WiFi throughout the property. Towels and bed linen are provided. M&Z Apartmani also includes a barbecue. Šibenik is 11 mi from M&Z Apartmani, while Vodice is 14 mi away. The nearest airport is Split Airport, 19 mi from the property. When would you like to stay at M&Z Apartmani? Apartmani su u neposrednoj blizini mora, svega 0,9 km udaljeni od plaže. Apartmani se nalazu u kući koja posjeduje prostranu okućnicu koja je ograđeno i sigurno za djecu. Također u predvorju se nalazi roštilji i sadržaj za djecu koji je dostupan na besplatno korištenje. Besplatan parking koji je u ograđenom prostoru iza kuće. Vesela i dinamična osoba koja voli upoznavati nove ljude i druge kulture. Kuća se nalazi u neposrednoj blizini centra Primoštena, svega nekoliko minuta hoda. Sve što Vam je potrebno poput trgovine, ljekarne, tržnice, kafića i restorana dostupno je za nekoliko minuta hoda. Dio kuće je okružen borovima koji pružaju romantičan ambijent. House Rules M&Z Apartmani takes special requests – add in the next step! Please inform M&Z Apartmani of your expected arrival time in advance. You can use the Special Requests box when booking, or contact the property directly using the contact details in your confirmation. Very spacious apartment in a convenient location, only a short walk down the hill to the town. Very welcoming hosts and the apartment was clean and well equipped. The washing machine was very handy. The property was a little too far from the city center and the beach, however the walk to there took only 15 minutes and it was a great pleasure to indulge in the view. We spent there 10 nights. I expected to have offered clean towels and bed-clothes, ask if we don't need anything (soap, toilet paper) after several days. As well kitchen could have more facilities (small knifes), barbecue place was available, but dirty, old sofa. There were more such small things that you can go through, but overal impression is than not good and I think it could be then cheaper. Big new apartment, very clean. Nice kitchen, but some knives, chopping board and tea cups would be nice to have. Wifi didn´t work too well. Also the noise of the other tenants was disturbing especially in the mornings as doors and windows are not that soundproof. The bed was big but it was put together from two small beds -> there was a gap between the two mattresses. Also the couch was a little uncomfortable for sleeping. We could not keep our shower gels and shampoos in the shower -> there wasn't any shelves. The sea view was awesome and our room was isolated from the surrounding sounds. The apartment is new and clean, more than enough for two person! The balcony was also perfect for sunbathing or having a breakfast. Big, clean apartment, well equipped. Beautiful view. Parking spot. Nice owners. We had a very pleasant stay!